Ability to schedule emails to be sent later in Gmail will make this otherwise excellent email service absolutely perfect. 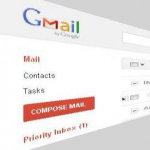 Now, you can schedule your emails in Gmail to be sent at a later time using a free service called Boomerang which helps you to select a later date and time to send your mail to your desired recipient. Facebook has recently launched a video calling feature to let you call your friends and engage them in a video chat. This is a one to one video chat and it takes place in your all familiar Skype interface due to Facebook integration with Skype. Watch this video by NetworkWorld to find out how to setup your Facebook Video Chat. You may need a disposable email address for hiding your real identity online while providing your email address to anybody or anywhere online or offline. 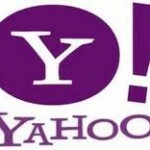 Now Yahoo in new Yahoo mail beta offers to create and use free disposable or temporary email address to use and throw at your leisure. Read on to learn how. Suppose you have four different legitimate “in use” email accounts. 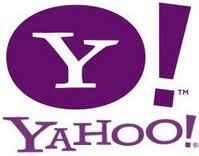 Say one is with Yahoo,two with Gmail and one with Hotmail. Well, this is really tedious to check these multiple mail accounts at once for new mails. So If I assume you have to check all four accounts everyday and even respond to some of the mails as your friend circle is also unevenly distributed amongst these mail ids, then it is a tiring task to do it everyday. Now what are your options? Read on to find out what are the methods available to access these different mail accounts at once in one go. Blackberry phone service is well known for its Push Email services which are considered highly reliable and lightning fast.This service is available only in select countries.Now users in India can get a blackberry like push email service on their GSM mobile phones to recieve emails from their Gmail,yahoo or rediff mail accounts.